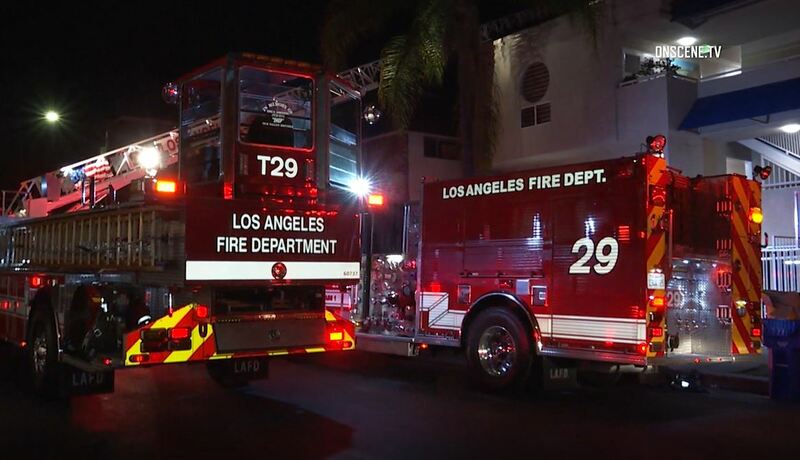 An explosion inside a Koreatown apartment building prompted the evacuation of the all residents and left one man injured and in custody Tuesday morning. Firefighters responded about 12:30 a.m. to reports of a small explosion inside a building in the 800 block of South Ardmore Street, according to the Los Angeles Police Department. The explosion occurred as the suspect was trying to make a type of narcotic and sparked a fire inside the apartment that was extinguished by a fire sprinkler system, NBC4 reported. All residents were evacuated but were later allowed back into their apartments. The man suffered a minor injury to a leg and was later arrested, NBC4 reported. The Los Angeles Fire Department was investigating the cause of the explosion, the LAPD said.